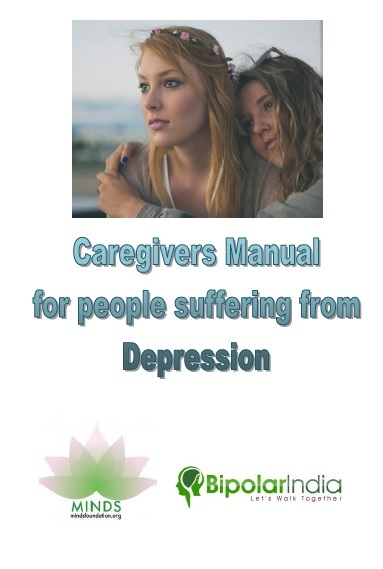 Here’s our all new Caregivers Manual for People suffering from Depression. Created by Pragya Lodha, Clinical Psychologist and Mumbai Centre Head, The MINDS Foundation along with her team of co-contributors, it is a handy reference booklet for caregivers. We are grateful to the The MINDS Foundation for working on and coming up with this handy resource at our behest! This will go a long way in addressing the needs of our Peer community. We suggest you download it for future reference or maybe even get a printout of it.